Is It Time To Buy BP plc (ADR) (BP)? We at Insider Monkey have gone over 700 13F filings that hedge funds and prominent investors are required to file by the SEC. The 13F filings show the funds’ and investors’ portfolio positions as of September 30. 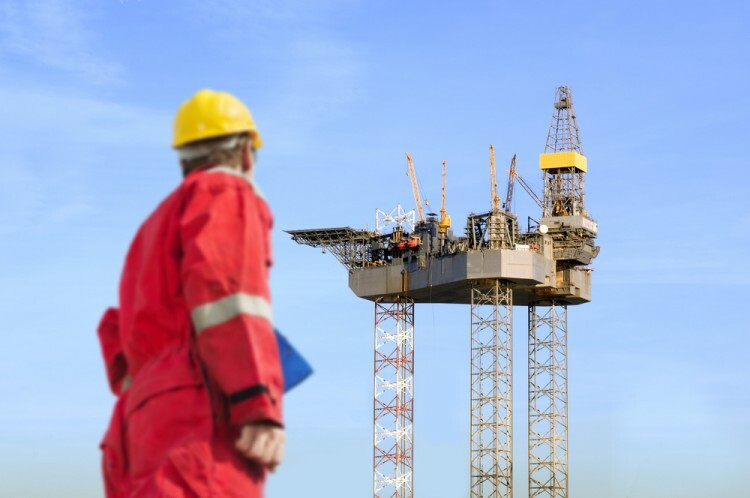 In this article we look at what those investors think of BP plc (ADR) (NYSE:BP). BP plc (ADR) (NYSE:BP) investors should pay attention to a decrease in support from the world’s most elite money managers lately. BP was in 30 hedge funds’ portfolios at the end of the third quarter of 2016. 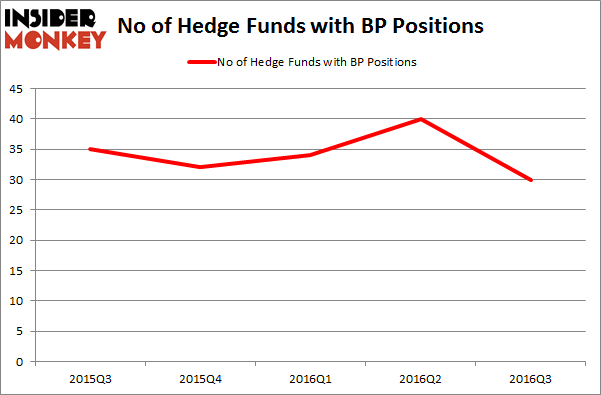 There were 40 hedge funds in our database with BP holdings at the end of the previous quarter. The level and the change in hedge fund popularity aren’t the only variables you need to analyze to decipher hedge funds’ perspectives. A stock may witness a boost in popularity but it may still be less popular than similarly priced stocks. That’s why at the end of this article we will examine companies such as Sanofi SA (ADR) (NYSE:SNY), Kraft Heinz Co (NASDAQ:KHC), and NTT Docomo Inc (ADR) (NYSE:DCM) to gather more data points. What does the smart money think about BP plc (ADR) (NYSE:BP)? At Q3’s end, a total of 30 of the hedge funds tracked by Insider Monkey held long positions in this stock, a drop of 25% from one quarter earlier, hitting a yearly low in hedge fund ownership. With hedge funds’ positions undergoing their usual ebb and flow, there exists a select group of noteworthy hedge fund managers who were boosting their holdings considerably (or already accumulated large positions). According to publicly available hedge fund and institutional investor holdings data compiled by Insider Monkey, Arrowstreet Capital, managed by Peter Rathjens, Bruce Clarke and John Campbell, holds the most valuable position in BP plc (ADR) (NYSE:BP). According to regulatory filings, the fund has a $434.3 million position in the stock, comprising 1.4% of its 13F portfolio. The second most bullish fund manager is Richard S. Pzena of Pzena Investment Management, with a $261.8 million position; 1.6% of its 13F portfolio is allocated to the stock. Some other professional money managers that are bullish include Israel Englander’s Millennium Management, Irving Kahn’s Kahn Brothers, and Ken Griffin’s Citadel Investment Group. Five Dow Jones Stocks That Can Outperform The Market The Big Short’s Michael Burry Reveals His New Stock Picks Constellium NV (CSTM): This Metric Is Giving A Huge Buy Signal 5 Micro-cap Stocks Billionaires Love The Most 5 Stocks Hedge Funds Are Betting Against Insiders Is Becton Dickinson and Co (BDX) A Good Stock To Buy Right Now?